This made for an awesome Sunday night supper! This past weekend was a busy one. We were all over the place on Saturday, and on Sunday it was much the same. It was all good, just busy. By the time dinnertime planning time came around on Sunday afternoon, I was stumped and had to run out the door onto the next “thing” before I could help with the decision making. As I was standing outside in the freezing cold that afternoon, helping to man my daughter’s Girl Scout cookie sale at the local grocery store, I got a text from my husband: Paninis for dinner. I was so excited! We have a panini maker but I never, ever think to use it. It’s stored neatly in the box it came in, with the booklets of recipes tucked neatly inside, all in a closet in our hallway. Apparently, the decision was a group decision made by Don and the remaining kids at home. 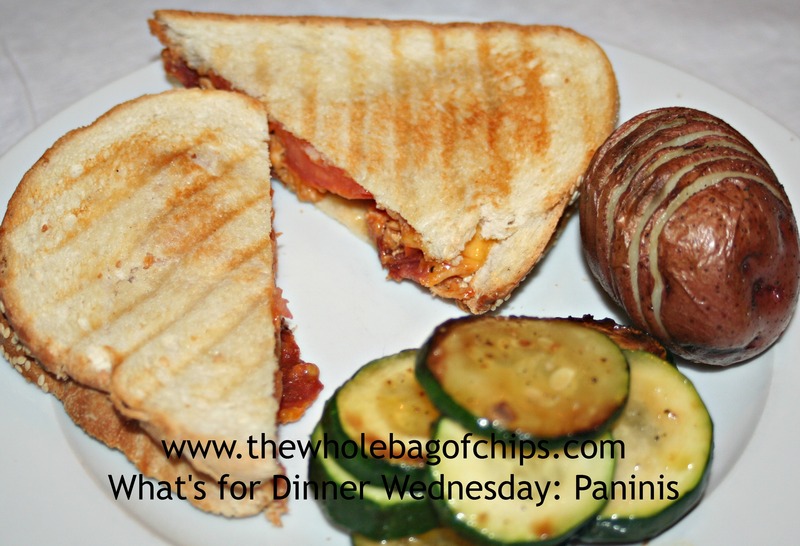 A menu of paninis, roasted red potatoes, cole slaw (not seen on my plate because I’m not a fan), and sauteed zucchini was created and the specific types of paninis were requested. We could have any of the ingredients on our sandwiches, or all of them. The ingredients for the sandwiches were also decided upon together: bbq chicken, tomatoes, bacon and cheese. We could have any or all of those ingredients in our sandwiches, allowing everyone to tailor their dinner to their liking. It was SO good. So, so good! There were even some halves of sandwiches leftover, so they became lunch this week. Don reported his was even better the second time around! Although we chose chicken, bacon, cheese and tomato for our panini ingredients, you can have virtually anything in yours! A list of suggested recipes were given to us as part of our gift when we received our panini maker, and a guide came with the maker itself. 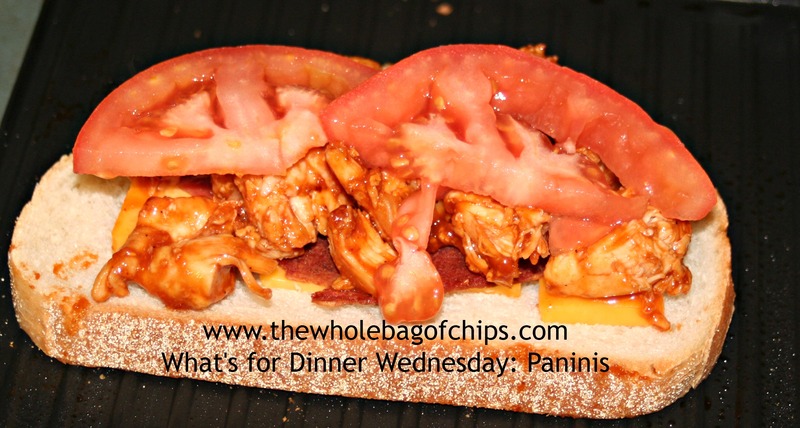 Here’s a list of some suggested panini recipes for you to try. Be sure to read to the end!! ← Monday Musings: The bucket list…to have one or not to have one?